SkinClinical is focused on providing science-based skincare solutions to treat some of the most serious and complex skin conditions, including the aging process. With over 30 years of experience, world renowned Cosmetic Surgeon Dr. Harry Glassman co-founded the brand. His passion for skin care stems from years of experience with patients on their varying issues: whether following medical treatments, surgeries, or the inevitable changes we face from aging and exposure to the environmental elements over time. SkinClinical was built on the premise of combining the most effective, concentrated, patented ingredients from both science and nature to deliver visible results outside of the doctor’s office, without a prescription. 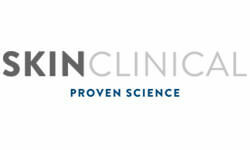 All of SkinClinical's products undergo rigorous third-party, clinical trials to ensure the most effective results. Love this product and use everyday. Works great!! Love this product. I use it every day all over. It make my skin feel good and look great. Would recommend.